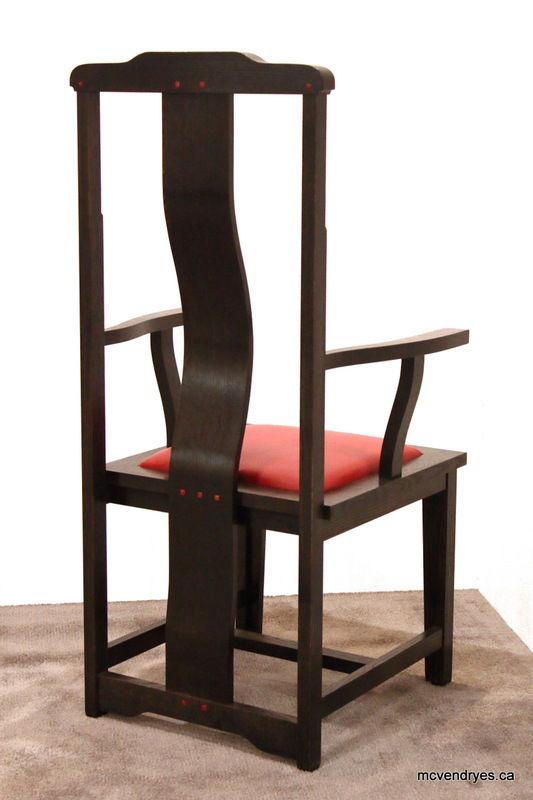 Unconstrained by client requirements, I was free to enhance the chair with subtle but powerful details. 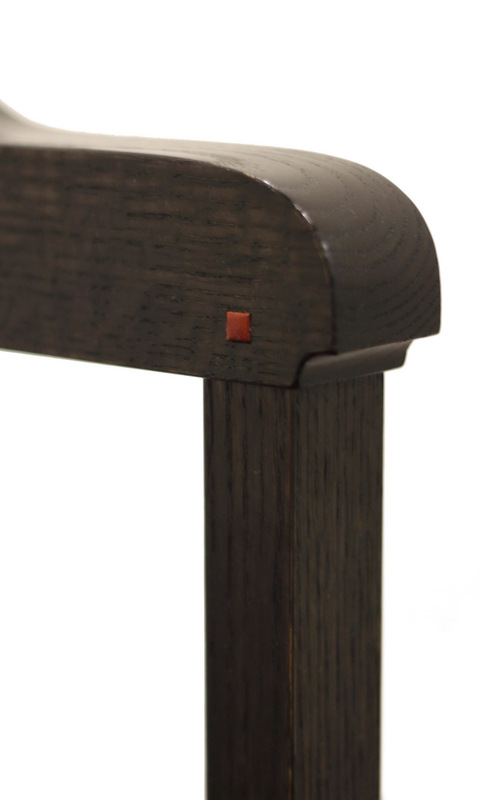 The coloured and proud pegs (colour matched to any upholstery), the step in the upper back leg, the soft setbacks and sweep at the crest rail—all of these give the chair more life. 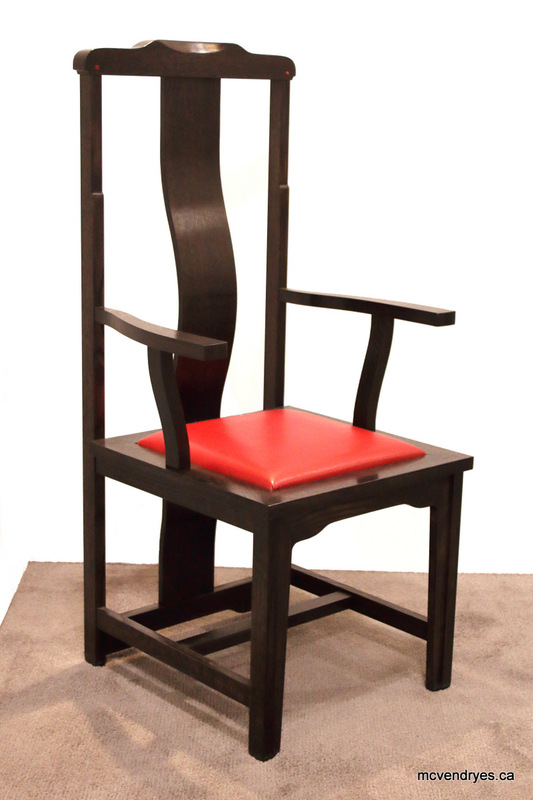 Shown in ebonized white oak, this chair was hand polished with shellac. 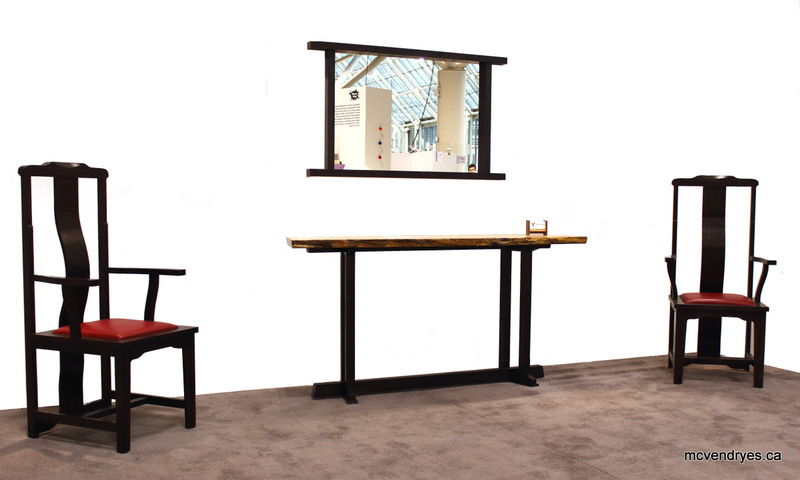 Available in a variety of domestic woods with choice of leather and matching plugs.